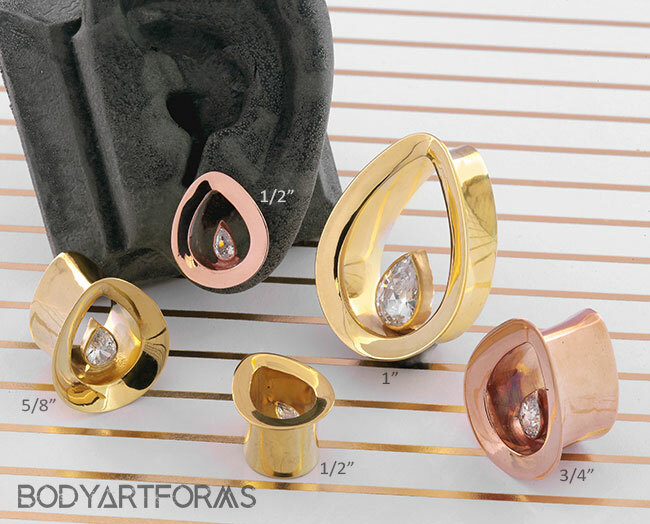 These stunning gold or rose gold plated eyelets feature a teardrop shape and mayan flare, and are highlighted by a single, sparkly CZ gem in their center! This design has minimal back flares that measure 0.8mm to 1.2mm larger than the gauge size. Crafted with 14K rose gold or yellow gold plated brass.